Hotel website says facilities and services in West Bank hotels now comparable with the best hotels in Israel. Is there anywhere between the Mediterranean Sea and the Jordan River where you can stay a night in a five-star hotel in a city with nightlife and other activities with a top rating by guests who have stayed there and pay just 990 shekels ($260)? The answer is yes, if you’re ready to reserve a room in Ramallah, according to the hotel booking and ratings site HotelsCombined. Ayal Segal, CEO of the website’s Israeli CEO, said ratings by people staying in Palestinian hotels testify to sharp improvement in their facilities and service in the last few years. The highest-rated properties enjoy scores of 8.9-9.6, he said. “You can compare that to scores given to five-start hotels in Eilat or Tel Aviv that are ranked 7-8,” he said. And prices at the best hotels in Tel Aviv start at 1,800 shekels a night and climb rapidly from there. The higher quality and low room rates of Palestinians hotels haven’t escaped the attention of tourists trying to find ways of keeping down the cost of a trip to Israel. In a practice known in the Israeli hotel industry as “trickling down,” many are opting to spend some nights at a Palestinian hotel to save money. Segal added that in Ramallah and Jericho Palestinian hotels are finding themselves with the same competition as their peers in Jerusalem and Tel Aviv with growing competition from people renting their homes through Airbnb and similar services at prices as low as 70 shekels a night, also cheaper than in Israel, albeit the gap is narrower than it is between Israeli and Palestinian hotels. Gal Mor, CEO of the Abraham Hostels chain and the tour agency Abraham Tours, said foreign tourists who opted to in places like Bethlehem in the West Bank not only get quality standards and service at a big savings over staying in Israel but get to Jerusalem each day to tour the city’s sites. 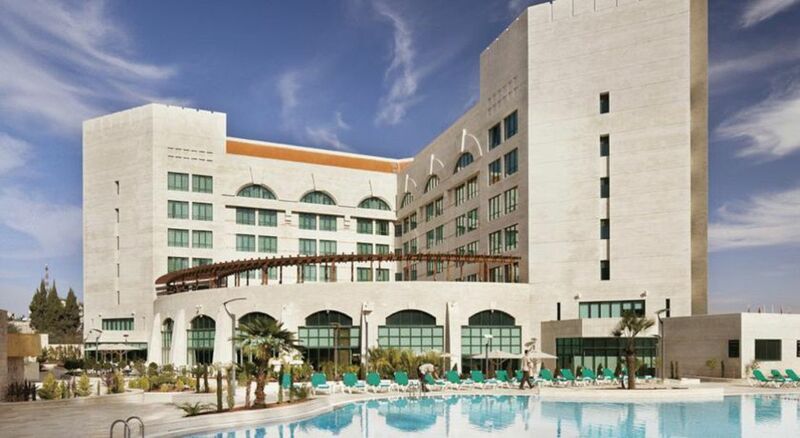 The highest-ranked West Bank hotel in the HotelsCombined site is the Movenpick Ramallah, a five-star property with a weighted score of 9.6 combining indices of measuring for cleanliness, service facilities and guest services. The hotel has 170 rooms and is located in the center of the city. Ramallah’s most popular local attractions is Yasser Arafat’s tomb in the Mukata compound, said Mor, whose Abraham Tours organizes excursions in the West Bank as well as Israel. 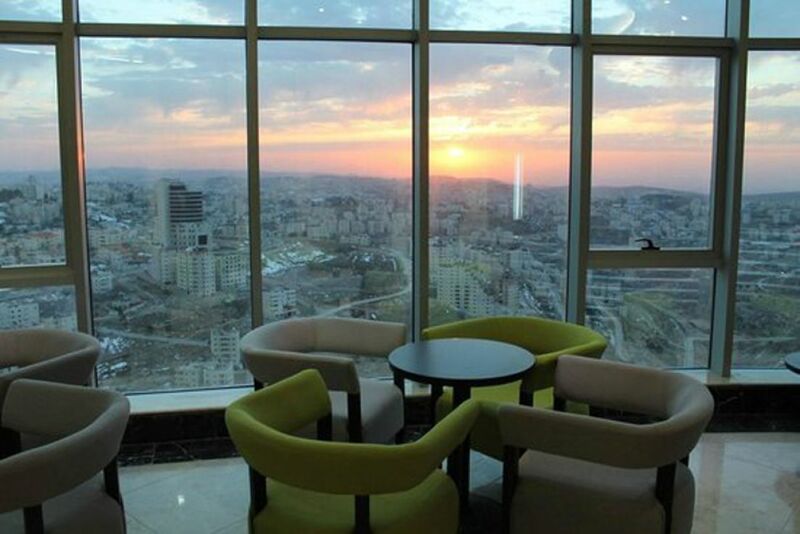 Another top hotel is the Palestine Plaza in Ramallah, which has five stars and a nine rating. It is located in the city’s tallest building between the 15th and 20th floor, counting 100 rooms and offering a panoramic view of the city and on a clear day even the Mediterranean. 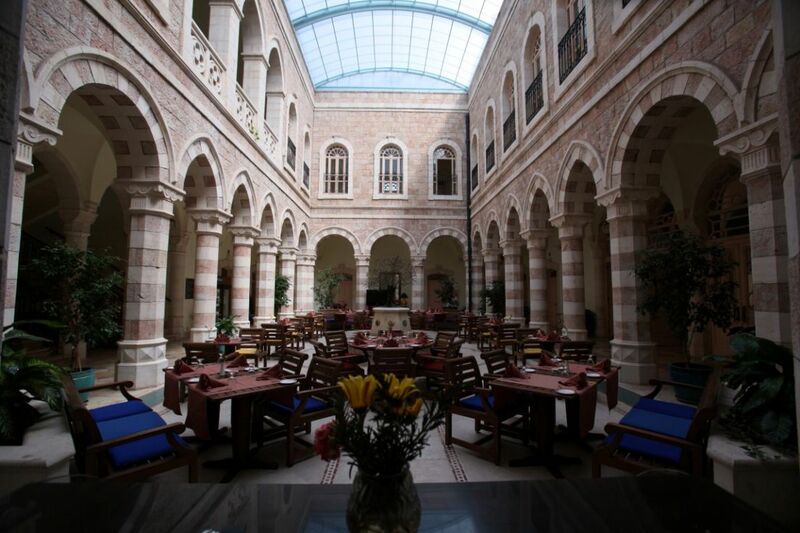 In Bethlehem, the top-rated place to stay is the Jacir Palace Hotel, with five stays and an 8.9 rating on the HotelsCombined website. It counts 250 rooms, tennis courts, heated poll and spa and a nightclub.